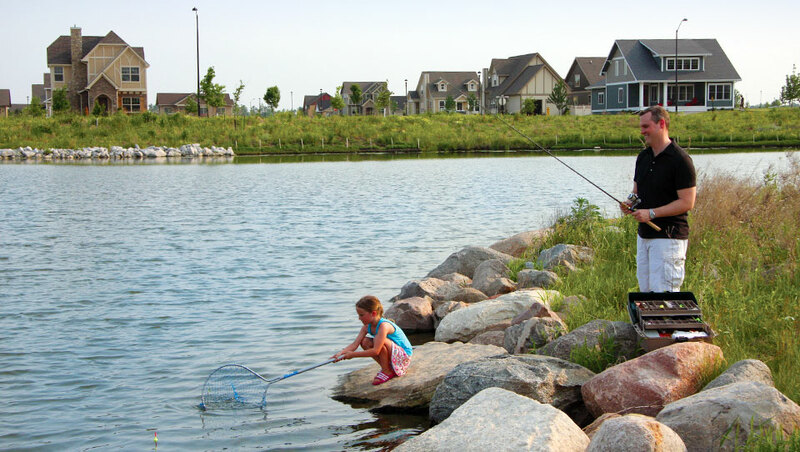 You will hear much about the beautiful parks and green spaces in Prairie Trail. There is approximately 20% of the total area devoted to public green space. The original masterplan intended for residents to be within a quarter mile of a park or natural space to walk, play, fish and just enjoy the convenience of nearby outdoor space. It’s not unusual for newly built urban developments to include land devoted to green space. What is unusual is that in Prairie Trail, those spaces are not residual land on the perimeter of the development. The parks and natural spaces are fully integrated into the neighborhoods, connecting people as they come out of their homes to enjoy the great outdoors and interact with each other. It’s also fairly unusual for traditional developments to build green spaces in the first phase of building. But in Prairie Trail that’s exactly what happened. Precedence Park (pictured above) was part of the very first wave of building in 2008 when the first 11 homes were built for the 2008 HomeShowExpo. 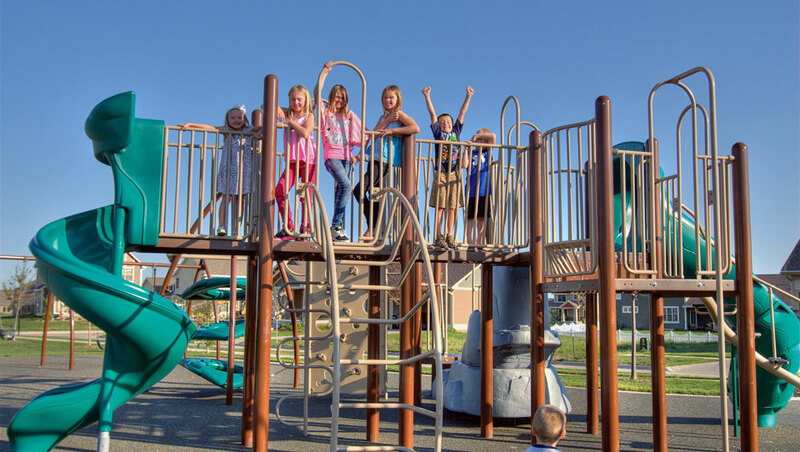 Dean Park was opened soon after in 2010, with the first playground equipment and a large shelter for fun family gatherings. 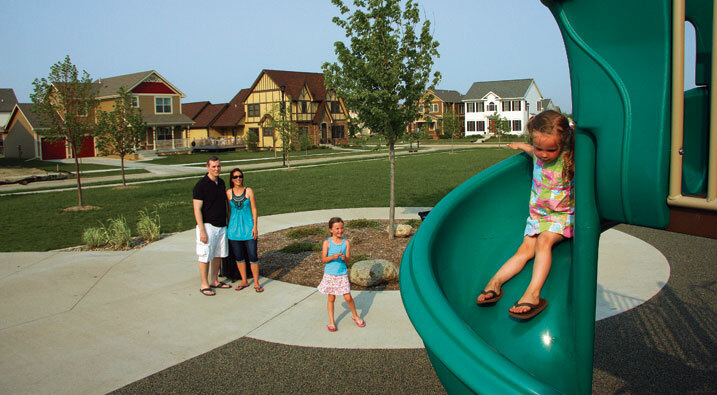 Lush lawns and beautiful flowers are an important aesthetic in Prairie Trail, but this urban development is built on the principles of New Urbanism and one of those is a devotion to sustainability. At Prairie Trail, the conservation techniques used here like constructed wetlands, natural prairie grasslands and the stormwater conservation program were designed in from the beginning. The original planning team spent more than a year learning about possibilities. 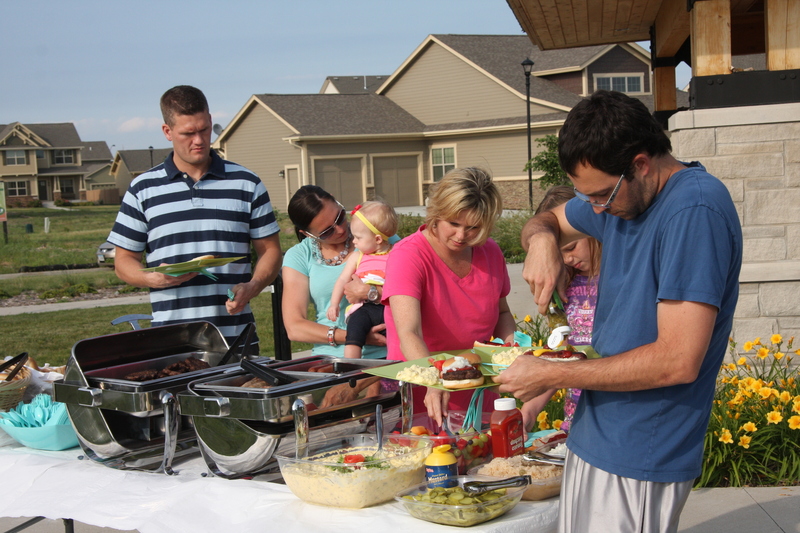 They considered how best to build this development in the center of town and to do it in harmony with the land and the surrounding area that was already filled with neighborhoods and businesses growing rapidly in Ankeny, Iowa. Please join us on facebook and follow the PT Blog as we share more about the history of planning and building this wonderful community in preparation for the 2015 HomeShowExpo in July.